The produce in 1820 was three bales, which were shipped to Italy (Trieste); the advices were highly satisfactory to convince the Pasha enough to give him the direction of the large scale cotton plantations. The year 1822 produced about 1.500 tons of this new cotton, the staple of which was markably fine, but more unequal and less clean than that of the ensuing years. 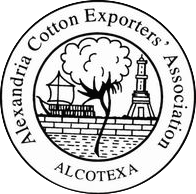 Rude presses were constructed for packing the cotton at the villages; but as the machinery was defective, some of the Alexandrian merchants brought hydraulic presses, with which they caused the bales to be pressed again. The cotton eventually came to be known as Jumel (or Mahò) and it soon found voracious markets in Europe, especially in England where only the Lancashire mills with the latest machinery could handle the fineness of its quality. In 1823 the cotton crop was increased to about 10.000 tons, and its culture permanently fixed. The quality was cleaner than that of the past year but less fine in fiber. This showed the necessity of new seed, or a different system of cultivation, and measures were taken to meet these objections. 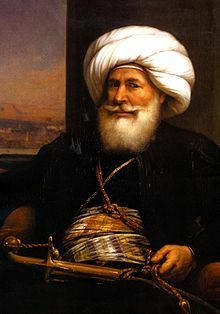 In 1827 Muhammad Ali Pasha imported Sea Island cotton seeds, which let the Egyptian cotton achieve a perfect quality, and it turned out that lower Egypt, and especially the Damiata branch of the Nile, contained the districts most favorable to these cotton varieties. The combination of the best seeds in the world, together with the exceptional environment, set up the ideal cultivation conditions for the most precious cotton in the world. And during almost two centuries it has been widely proven this result.